Master System在2006年末又被设计成小型的手持版本。这部掌上游戏机用3节AAA电池供电，有一个更明亮的活动矩阵屏幕，以及内建20个Game Gear和Master System游戏。它挂了几个牌子发行，包括Coleco and PlayPal. 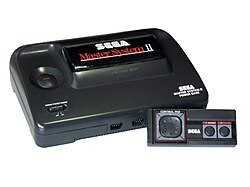 ^ Foreign Sega Master FAQ. 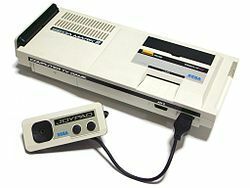 Classic Gaming. （原始内容存档于2009-08-12）. ^ Cruis'n USA and Wonder Boy Now Available on Wii Shop Channel!